Cozy Chicks: CAN YOU KILL A RECIPE BY OVER-TWEAKING IT? CAN YOU KILL A RECIPE BY OVER-TWEAKING IT? Yes, sadly, you can! Ali Taylor, in my Dream Club series, loves to tweak her favorite recipes and "never makes the same dish twice." While her sense of adventure is admirable, the results are less than stellar. Once, she went overboard on creating "healthy" cookies and the results were disastrous. Ali's "whole wheat soy nuggets delights" were so unpalatable that Taylor had to give them to the birds in the back garden. And there was a certain tofu casserole that no one could eat--finally, Bruno, the boxer next door, manfully chowed it down. As a mystery writer, I'm used to killing off my characters. 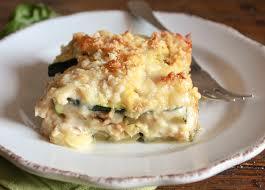 And since it's true confession time today, let me tell you about a certain zucchini casserole. 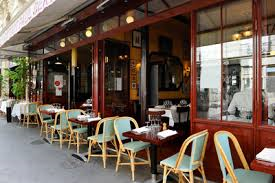 It's absolutely delish and I first tasted it in a Paris café. 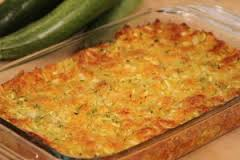 But I'll repost the recipe for zucchini gratin right here. Directions Crack the eggs into a bowl, beat and add sour cream. Set aside. Saute 4 chopped zucchini with the chopped onion. Once they are sauteed, remove from heat and let cool for a little while. Now add the egg and sour cream mixture. Add a touch of nutmeg. Spoon into a greased casserole dish and top with grated gruyere. Bake at 375 for 20-30 minutes, until top is golden. This dish is even better the next day, and also freezes well. How did I tinker with it and kill it, you ask? Answer: I tweaked it too much! Like Ali, I decided to try some "substitutions" with awful results. I switched out the sour cream with Greek yogurt (which usually isn't a bad thing, but this time it was). I used Egg Beaters instead of eggs. I used frozen zucchini instead of fresh. And (horror of horrors!) I used fat-free cheddar instead of rich, tasty Gruyere. The finished result bore almost no resemblance to the original! Have you ever done this? Added a little of this, a little of that, until the dish bore almost no resemblance to the original? I hope I'm not the only one guilty of murdering a perfectly delightful dish!